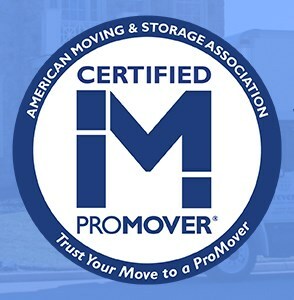 May is National Moving Month, which means that moving companies all across the Bay Area are gearing up for their busiest season. It also means that scammers and disreputable moving companies are getting ready to take advantage of unsuspecting movers. Because trustworthy Bay Area residential movers tend to book up quickly this time of year, it can be easy to ignore the red flags and go with a company who’s just looking to scam you. At Metropolitan Van & Storage, we have been providing high-quality moving services for over 50 years, so we have learned a thing or two about how to choose the right Bay Area moving company. By keeping these tips and tricks in mind, you can make sure that your next move is a dream rather than a nightmare. To be sure that you are choosing a reputable moving company, it’s important to attain a quote based on your space and household goods that will be moved. If a company insists on giving you a quote over the phone or online, run the other way! Any trustworthy Bay Area movers will understand that they can only give you an accurate estimate after seeing your items in-person so they will insist on providing you with an in-home estimate. Be sure to receive the quote in writing, to further protect yourself against a sudden, unexpected increase in the final cost. If a moving company asks for a large deposit up front before they have provided any services, this is a sure sign that you should work with another company. While it is normal for movers to ask for a deposit to secure your moving day appointment, it should not be a large amount of money. If a moving company asks you to provide a sizeable sum before your moving day, they are probably planning on taking your money and running. Once you have narrowed your choices down to a handful of moving companies, it is up to you to research their reputation. You want to be sure that previous clients have had good experiences working with them, so look up the moving company reviews to hear what others have had to say about their work. Ready to schedule your Bay Area move? The moving experts at Metropolitan Van & Storage are here to help! Give us a call or fill out our online form to schedule your free, no-obligation estimate today.